As the battle lines shifted during July 21, 1861, Union troops headed for the Confederate position on the high ground. One of those positions was Henry House Hill. 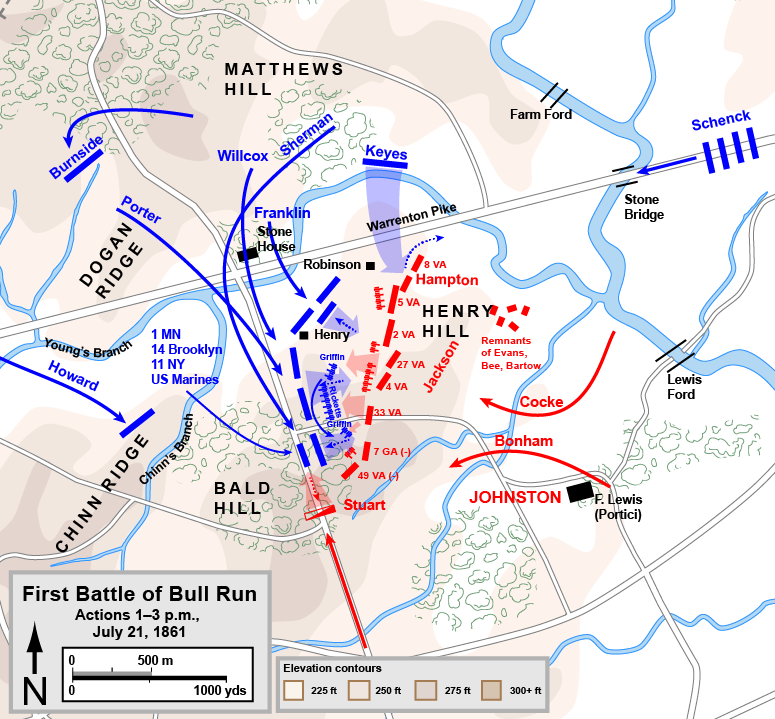 Southern General Bee and his brigade tried to slow the Yankee advance, but became disorganized and started retreating. Bee attempted to rally his men; glancing on the hill behind him he gestured, shouting the “quote of the day.” He was pointing to the First Virginia Brigade commanded by Thomas J. Jackson. A few moments after his rallying crying, Bee was mortally wounded. 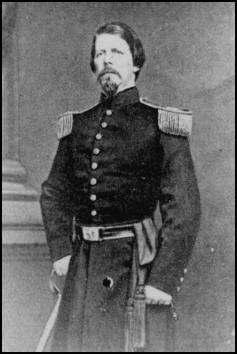 Brigadier General Thomas J. Jackson was also a West Point graduate, Mexican war hero, and served on garrison duty in U.S. forts. In 1851, he accepted a teaching post at Virginia Military Institute, instructing cadets in natural philosophy and artillery drill. When the war began, Jackson decided to fight for his state and was quickly appointed to oversee and organize the Confederate volunteers mustering at Harpers Ferry. His unit – the First Virginia Brigade – fought at First Manassas, holding position on Henry House Hill and starting the Union route with their “yell like furies” bayonet charge. Jackson was slightly wounded in this battle, but would live to fight two more years for the South, eventually dying of wounds and pneumonia in May 1863. Did General Bee really say? What were his exact words? And was he praising Jackson or cursing him? It’s hard to know. The challenge is two-fold. First, the words were spoken, not written; bystanders heard and recorded, but each text is a little different. Secondly, Bee died, without a historian nearby to verify his words and meaning. 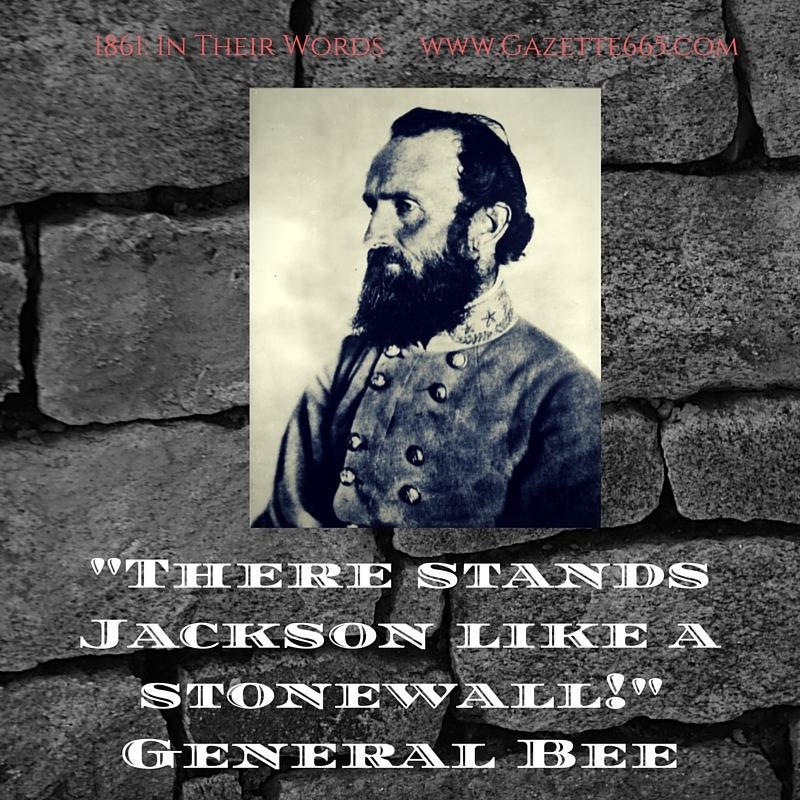 It seems probably that General Bee did say something about Jackson and his brigade standing “like a stonewall,” but the exact phrasing is questionable. Some historians have suggested Bee was upset that Jackson wouldn’t come to his aid. Some soldiers claimed that Bee added an explicative or two to his famous phrase, venting his frustration. It’s possible. It would be aggravating to rally broken troops and see a whole brigade of reinforcements unwilling to move off the hill. Ultimately, does the exact phrasing and meaning matter? Yes and no. Of course it would be nice to know all the details, but, in the end, Bee’s words – in anger or praise – christened a Confederate brigade and general with a new name. A name given in 1861 that would strike fear and defeat at Union forces in 1862. P.S. Your thoughts or insight into the “anger or praise” debate? Next What Happened to General Cornwallis?